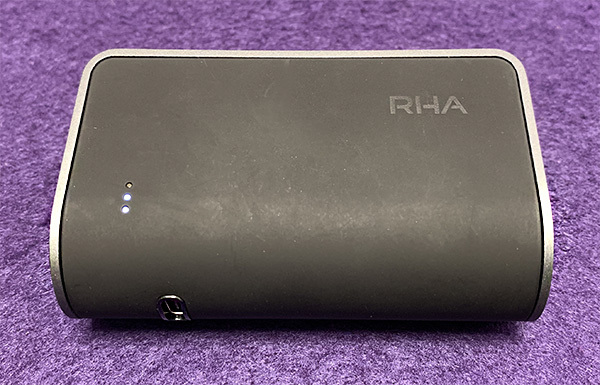 REVIEW – Last September, I reviewed the RHA (Reid Heath Ltd.) wireless MA750 in-ear headphones (earphones). I said, “… if you’re a fan of accuracy, wireless and durability, the MA750s may be what you’re looking for. 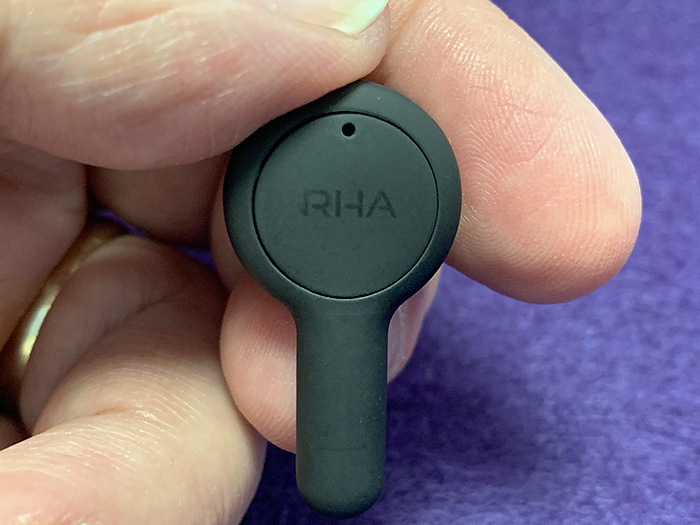 While that’s still true, RHA has since come out with the RHA TrueConnect earbuds, a truly wireless earbud that rivals and bests the MA750s and even Apple’s own AirPods in some areas. 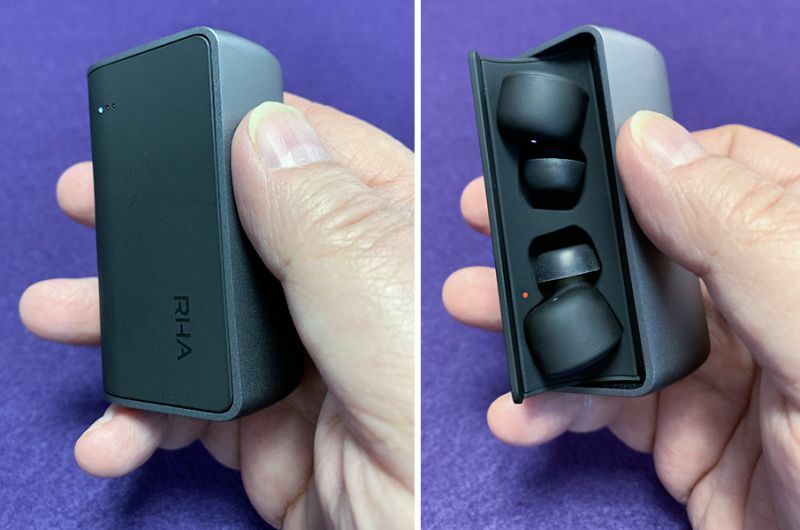 The RHA TrueConnect true wireless earbuds are just that—earbuds that are wireless—as in, no wires. It’s interesting that the difference between any brand’s truly wireless earphones vs regular wireless earphones is that the latter are connected to each other by—a wire. Go figure. 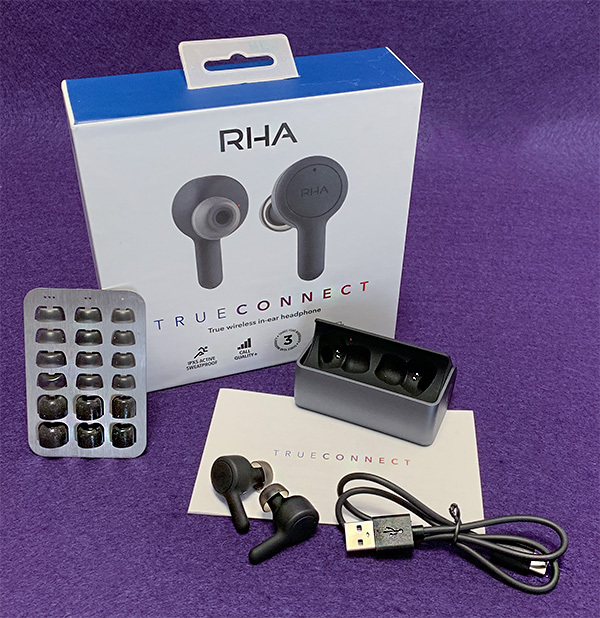 Even though they are officially called earbuds on the RHA website, the retail box states that the TrueConnect are in-ear headphones. 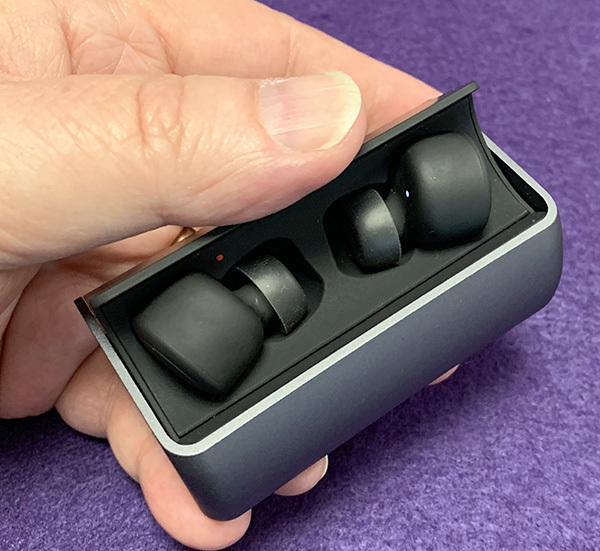 Actually, the box is more accurate as the TrueConnect are an in-your-ear design, as opposed to a bud that rests just outside the ear—like Apple’s AirPods. Confused yet? That’s what I thought—so for the remainder of this review, I am using the term earphones. 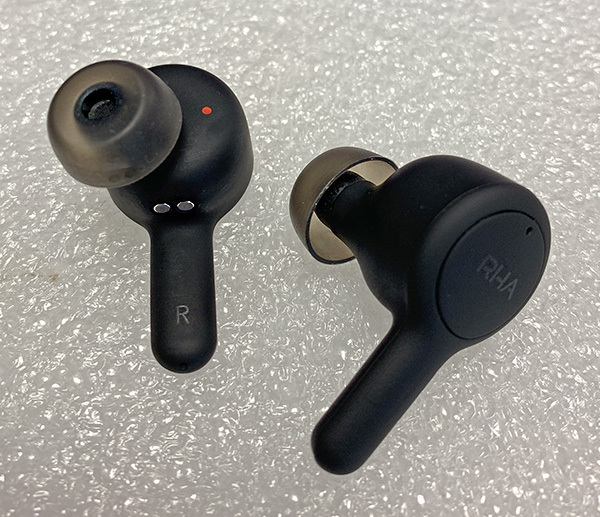 Even though this is a review of the TrueConnect earphones only, it’s hard not to compare them to Apple’s AirPods, so I will try to keep comparisons to a minimum (I may not succeed). 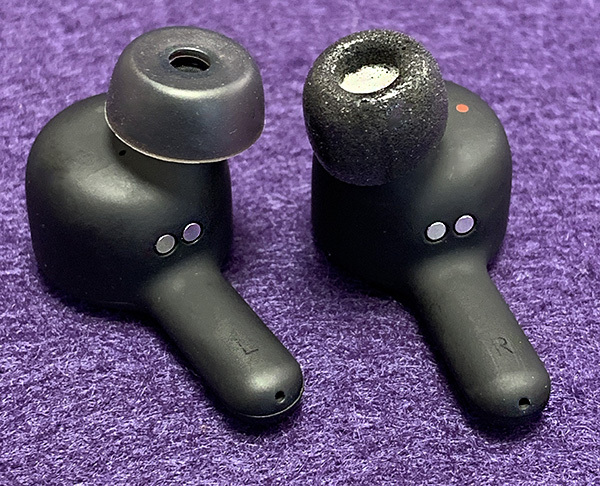 TrueConnect earphones are a bit unusual because while they mimic the design idea of the AirPods with their dangling mic, the similarity stops there. Two years ago, these elongated mics were considered weird and ugly, but the look is now accepted and an extended mic has a better chance at producing clearer sound when talking on the phone. 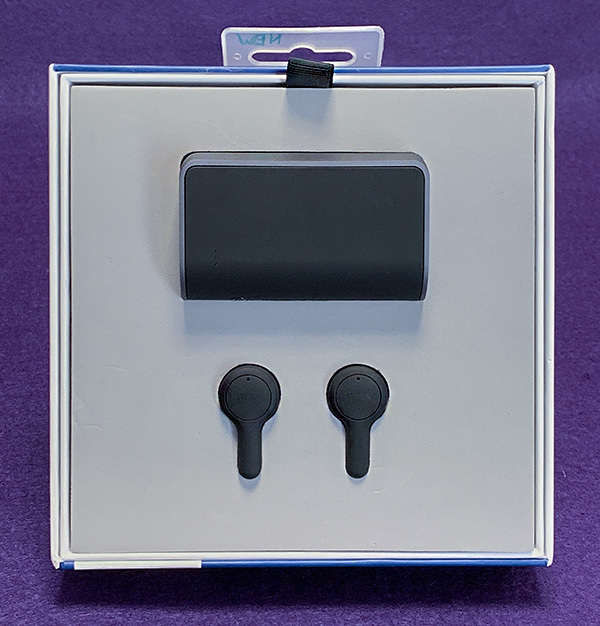 TrueConnect earphones come in a “soft-touch” black exterior with a matching soft-touch and aluminum charging case. They are more subtle looking than white and stay in the ear quite well. 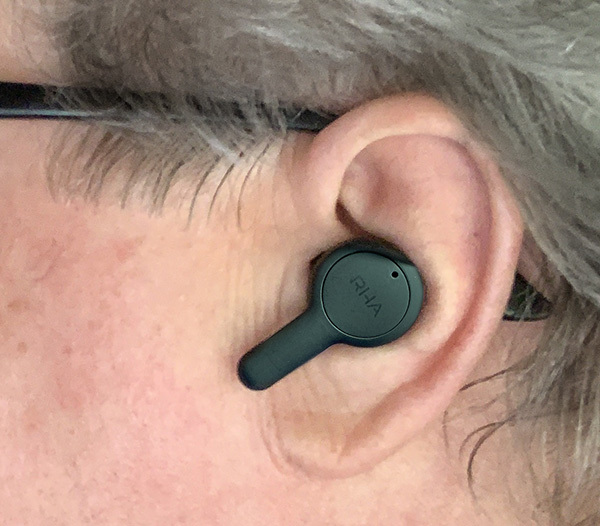 They’re thicker and heavier than AirPods but more comfortable over longer listening periods. Since they are in-ear, they offer good passive isolation. Plus, the added sweat-proof IPX5 moisture rating makes them perfect for using with noisy mowers and other tools for hot and sweaty summer yard work. 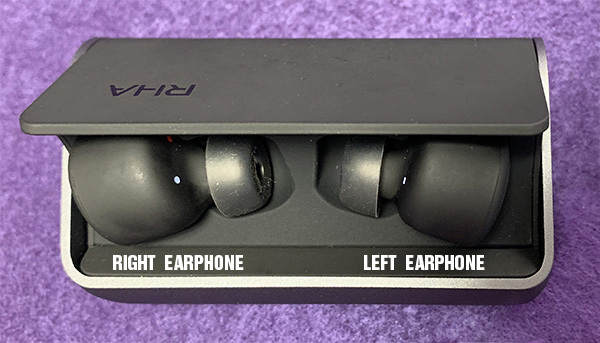 There are buttons on both the left and right earphone that perform both similar and different functions depending on how they are pressed or tapped and whether you are taking a call or listening to music. Here’s an example: If you press the right ear button twice while music is playing, the volume goes up. Press it twice while talking on the phone and it disconnects the call. It can get fairly confusing, but it becomes easier to remember once you get past the learning curve. 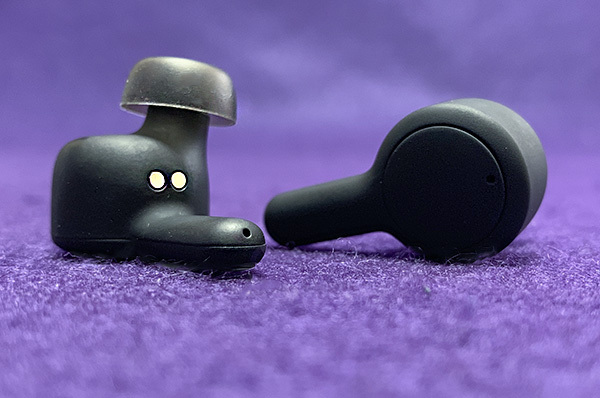 TrueConnect earphones come with a great selection of differently-sized silicone and foam ear tips—typical for RHA. The largest silicone ear tip works best for me. Foam isolates best, but requires more effort to insert and remove, so I generally ignore them. Pairing TrueConnect earphones is easy. Once paired, smart devices remember the connection for almost instant re-pairing. Note that I said almost. It doesn’t always re-pair as quickly as I wish—especially when taking a call. Placing and receiving phone calls worked well on my iPhone. I like to use only one earphone when making calls , but only the right earphone can be used solo. Using the left earphone (my preferred and stronger ear) did not work. By contrast, Apple’s AirPods are left/right agnostic, so either one works the same for calls. 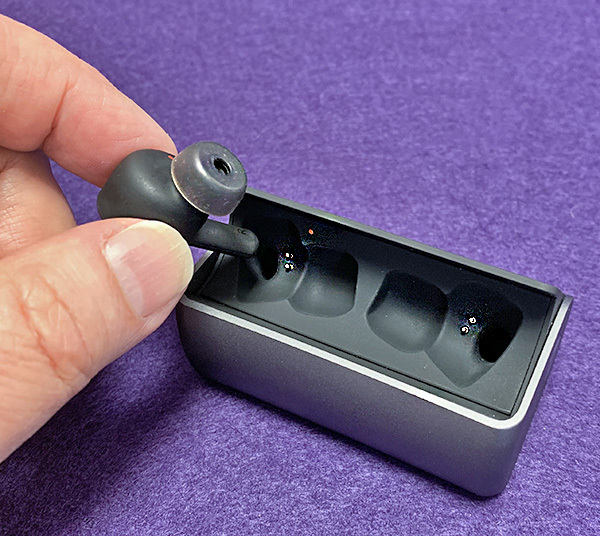 One of the strengths of the TrueConnect earphones is how they sound. Granted, they are no match for quality wired earphones or headphones, but then again, no wireless earphones will sonically match wired. One day they will, but not yet. However, convenience more than makes up for any minor audio quality difference. Audio leans a bit towards a warmer, more forgiving sound, vs an analytical approach. Warmer and forgiving simply means that music is easy to listen to, whether it’s from a lower resolution MP3 or higher resolution file. More detailed earphones can and do sound better—unless the file is lower resolution. It doesn’t seem to matter what genre of music I play on the TrueConnect earphones. I recently fell in love with the soundtrack to the new Apollo 11 documentary. The soundtrack musician insisted on using only 50+ year-old analog electronic instruments that had to be available in 1969—the year Apollo 11 went to the moon. The result is an amazing piece of music. 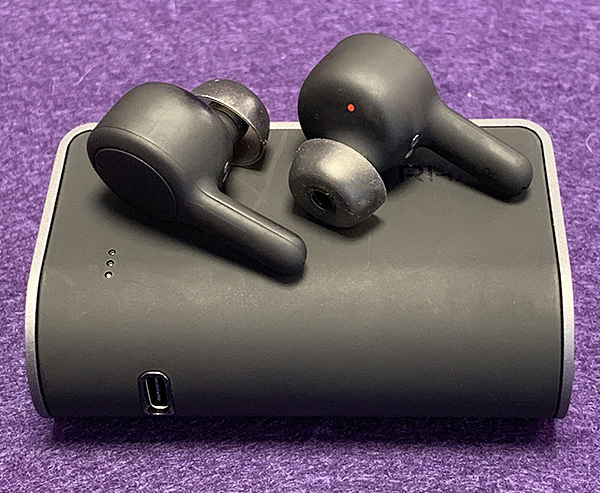 The TrueConnect earphones handled this soundtrack admirably—but again, when compared directly to a pair of good wired earphones, the TrueConnect earphones come up short. The TrueConnect case is a handsome, well-made case. It will charge the earphones 4 times with a battery life of 5 hours per charge. That’s 25 hours—not bad at all! The case has the prerequisite lights to signal how much life is left in the case’s battery. The earphones can be brought to 50% charge in only 15 minutes. The design of the case is flat on the bottom for easy access. However, it’s kinda upside down. When the case is opened towards you, the right earphone is in the left space and vice versa. Plus, the printed logo on the top of the case is upside down. Only when the case faces away from you is everything in the right place. Weird. 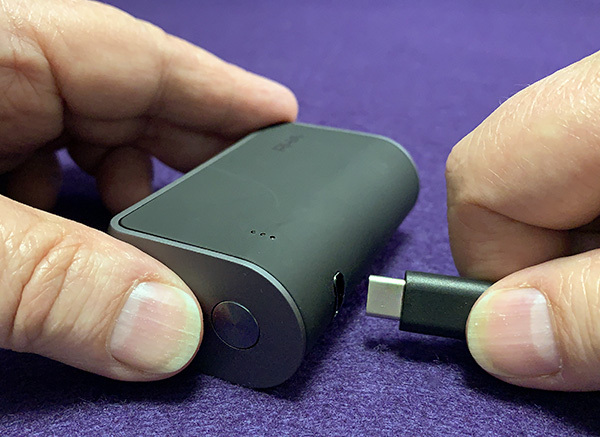 The case is charged via a USB-C to USB cord—a welcome change from the inferior and much slower mini USB. TrueConnect earphones are comfortable for longer periods—not as common as you might think. They sound better than most wireless earphones available—especially when listening to less-than-perfect music files. 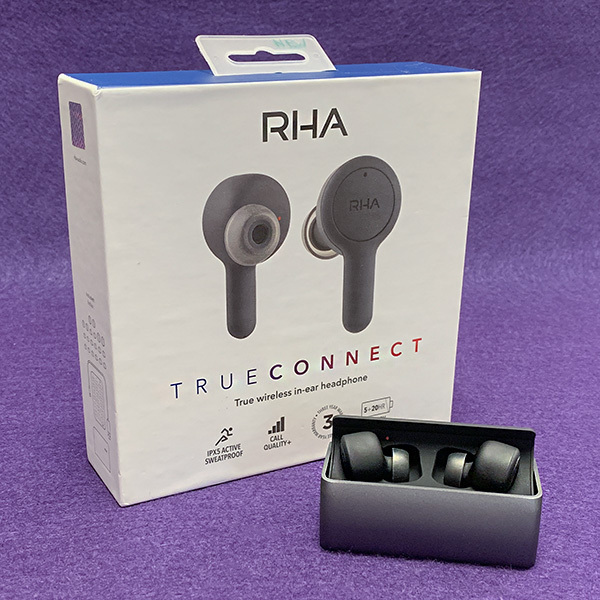 TrueConnect earphones have RHA’s now well-known quality built into their DNA and are backed by a three-year warranty. TrueConnect earphones could pair a bit quicker when taking a call. 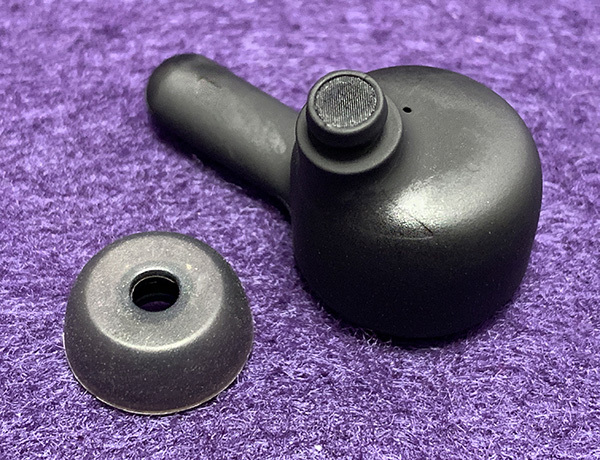 They sound better and offer improved isolation over Apple’s AirPods, but is it enough to justify its high price—$11 higher than the overpriced AirPods? 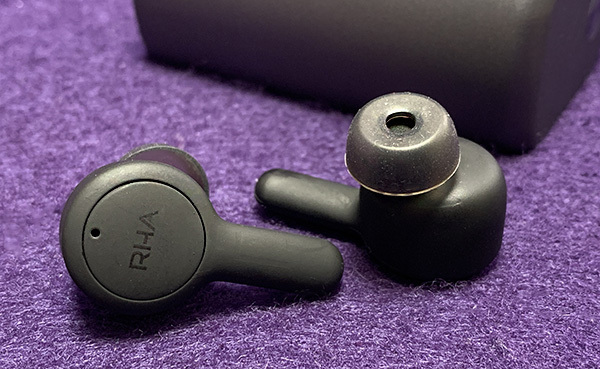 It’s becoming a cliche, but RHA has hit it out of the park with the TrueConnect earphones. They sound good for music listening, are comfortable, well made, have great battery life and don’t look dorky. You can’t ask much more than that if you have the budget. 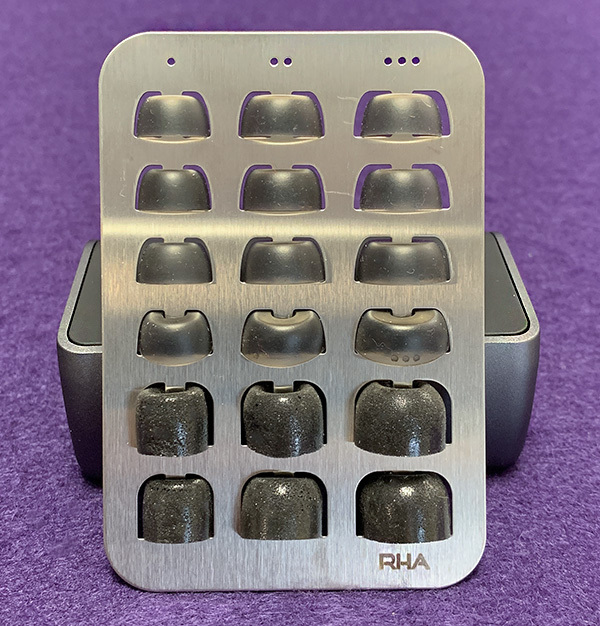 Source: The sample for this product was provided by RHA.